It was rather eerie to read this and hearing that Carrie Fisher had a massive heart attack yesterday (Friday). She has a very conversational writing style so it almost felt like that person who was just talking to you has suddenly fallen seriously ill and may not make it. Best wishes to Fisher for a speedy recovery. This was my first foray into Fisher's books. She has published many prior to this latest recollection about her time during the filming of Star Wars. The big reveal in this book? It's not really a spoiler since it made the news the day the book came out -- her 3 month affair with Harrison Ford while filming the first movie (Episode IV). The book was rather odd and seemed to fall into three sections. As I said before, her style is very conversational - almost stream of consciousness. Unofficial part one was her modern day recollection in her childhood and seeing the effects of celebrity on her mother (Debbie Reynolds). She also touches on the decision to put Leia in the cinnamon roll hairstyle that is so iconic if the character today. Finally she discusses Ford and stresses that it was a three month, one-night-stand. Part two was her actual diaries from the filming of Episode IV. This was actually the shortest section of the book (or seemed short at any rate). The writing style is drastically different from the first part and discusses a lot of the emotions and feelings one might get while having an affair with a married man. The final unofficial part was back to modern day with Fisher talking about her seemingly reluctant participation in the convention scene (or, as she puts it, "celebrity lap dances"). 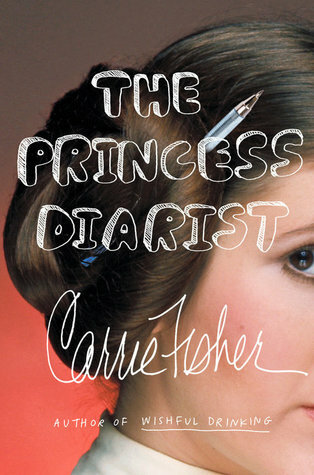 While slightly scattered, this was an interesting read that fans of celebrity memoirs and/or Star Wars would probably enjoy.